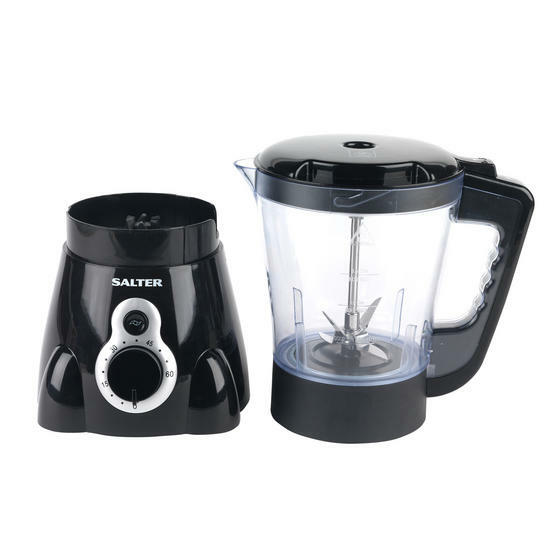 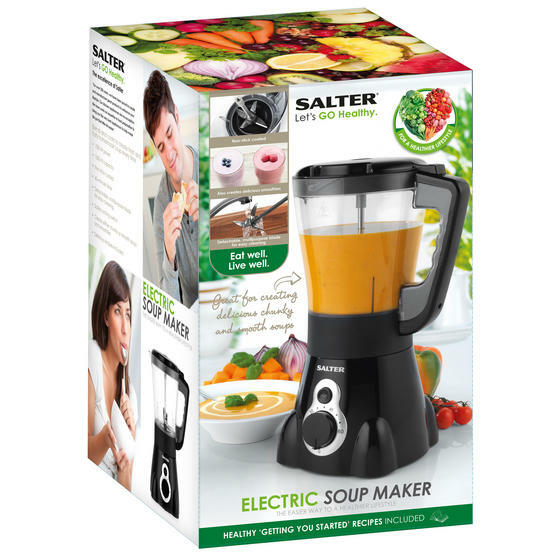 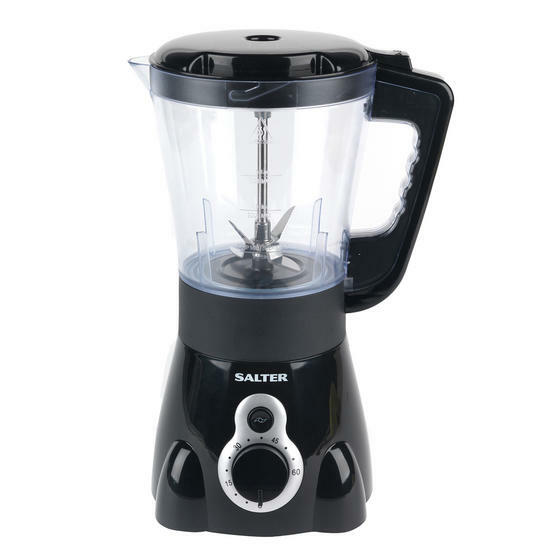 Perfect for making delicious homemade soups packed with nutritious ingredients, this Salter Go Healthy soup maker has an impressive 1500 ml capacity, so you can share with your family or save extra for later. 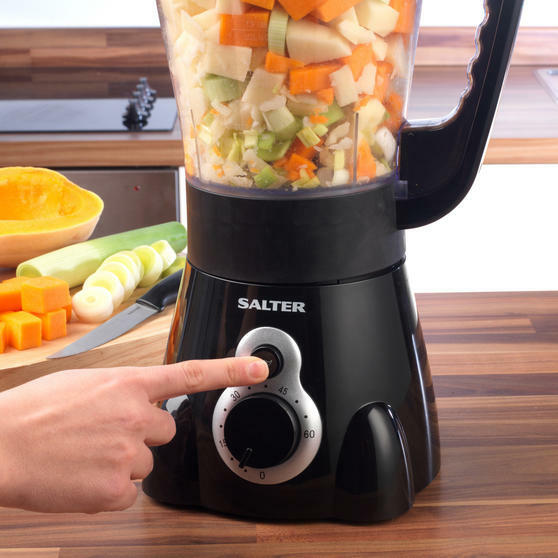 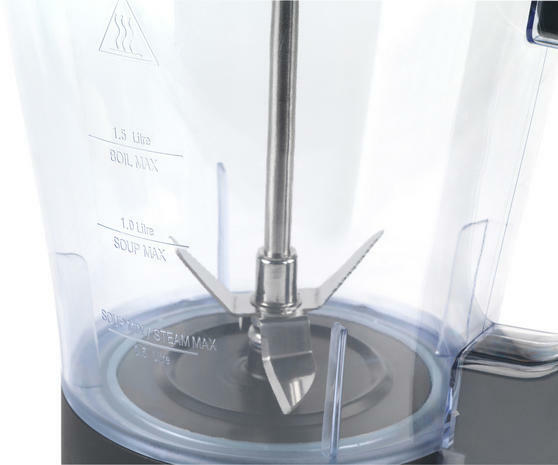 Brilliantly easy to operate, simply set the front dial timer to start the cooking cycle and use the blend button whilst it cooks to create chunky or smooth soups to your taste. 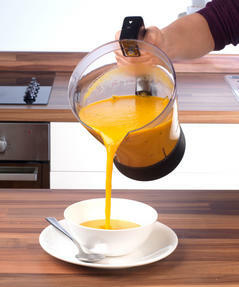 A selection of recipes are also included, so you can start making fresh and tasty soups to enjoy straight away. 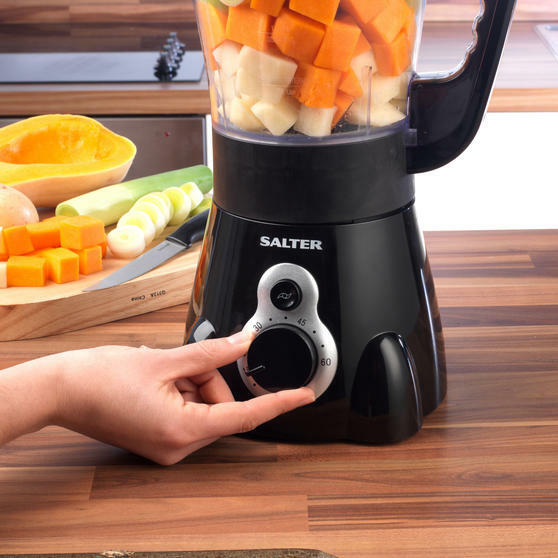 Set the adjustable timer and the use the blend button whilst it cooks; the indicator light will illuminate during the cooking cycle.